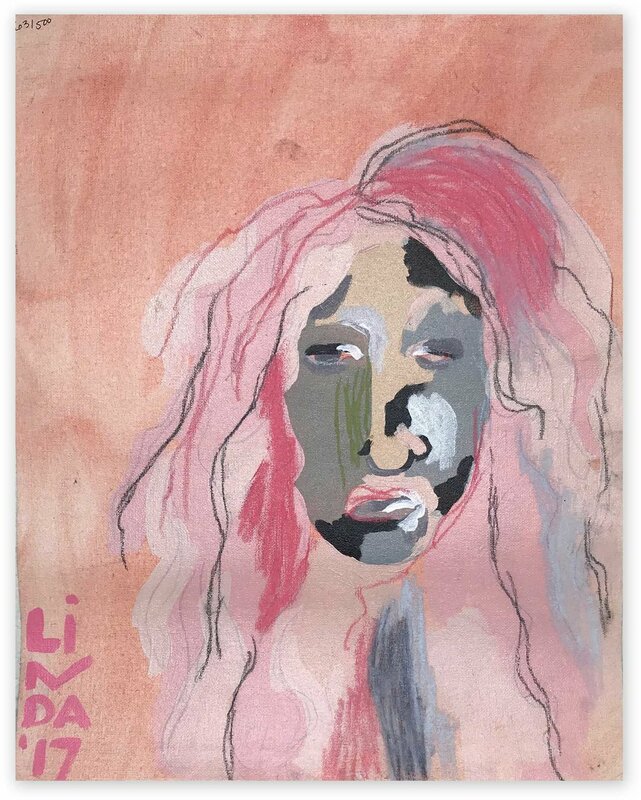 In November of 2017, Linda started a new painting series of 500 Portraits. In this series, all the paintings are on canvas and painted in groups of 7. Each group has a similar composition and a similar color palette. This was chosen this for a lot of reasons such as: exploring color theory and experimenting with compositional drama. When I started this project I set a “one and done” rule. I finish a painting and then move to the next; there’s no going back to re-work, no fussing, just moving forward. 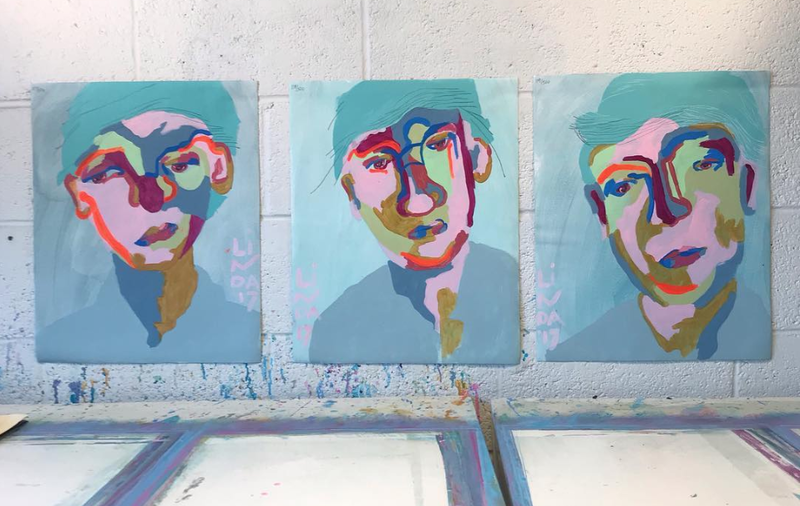 And of course, I only painted portraits. These stringent parameters actually made the creativity flow because many decisions that could hinder the progress were made in advance. The “one and done” rule really helped me to see and understand when a painting is finished. To know how to feel it’s completion. This is something that is completely intuitive and cannot be taught. And how do you know when it’s finished? That’s a great question. Does it dance? Does it move? Does it capture emotion? Does it express it – the best and the strongest way it can. This answer is different for each painting and especially for each artist - it’s not about being right or wrong. It’s just about learning the rules so they can be broken. Because in learning and looking at art – that’s where one starts to feel when a painting is finished and then can identify it in their work.